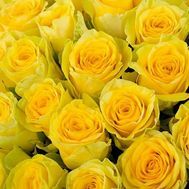 When men are asked what flowers he knows in 98% answer: roses, and then they call tulips, chrysanthemums, lilies. It happens that the list of colors that a man knows about this ends. Maybe they do not want to keep in mind the name of the flowers, but maybe men know that the main queen of flowers is a rose and that's enough. 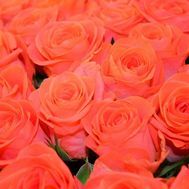 After all, it is not uncommon for bouquets of roses to be given for celebrations and celebrations, for the first date and for Valentine's Day. Bouquets of roses are popular and respected for many centuries. They were given as a sign of their special arrangement by noble nobles and simple knights. 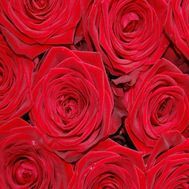 Real men knew a lot about amorous affairs and knew that bouquets of roses can work wonders and melt the ice of the most impregnable beauties! And it does not matter in love affairs for beautiful ladies, who you are - a count or a knight without estates - the main gallantry and ability to care. 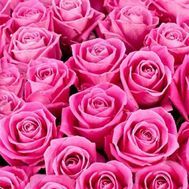 And one such secret, which came to us from the depths of centuries, is the sending of a bouquet of roses to the beautiful lady of the heart through the florists. 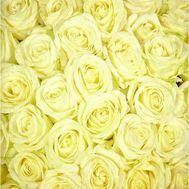 Now this function is performed by flower shops and courier delivery services. 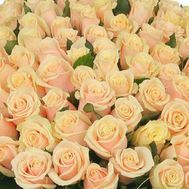 Buy roses per piece for delivery by courier to any holiday or a landmark date. 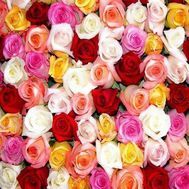 If you want to order roses, in this section you can pick up the color and number of roses you want.